Going Digital is easier than ever with My Digital Studio! 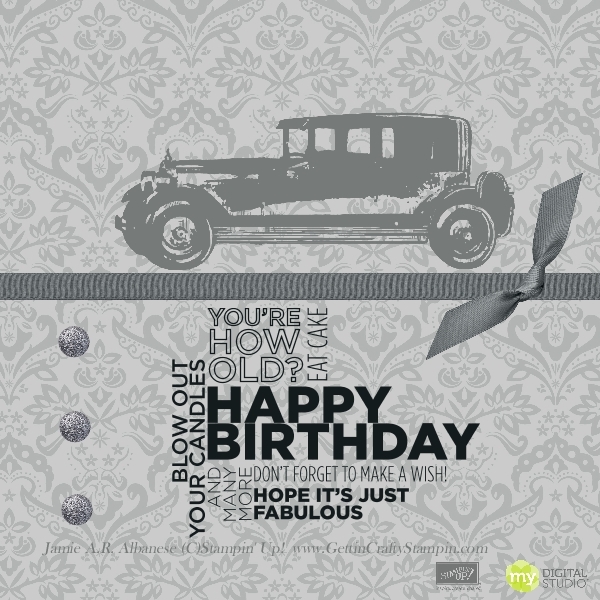 Here is my Masculine Birthday Card to brighten the men in my life with an email and/or Facebook post or even a Tweet! With my husband's cousin having a birthday on Christmas Eve and he decided to spend his holiday season in India... I couldn't resist posting this on his FB page... what a way to celebrate! Joe may be a digital man - he lives by his Iphone and we always find something to chat about digitally... I'm sure he likes this and even the vintage feel of this card! Go Digital, you can be Vintage or Modern - but you are sure to have FUN!